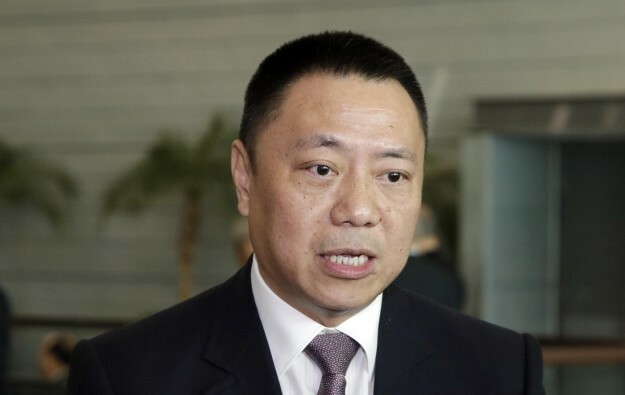 The Macau government has already received a preliminary proposal for amending the existing gaming law, said on Saturday the Secretary for Economy and Finance, Lionel Leong Vai Tac (pictured). That is understood to be an important step for preparing for the rebid of the city’s gaming concession licences. “We’ve said before that the awarding of the gaming concession contracts [when the current ones expire] will have to be done via a bidding process, and the related law needs to be amended as well [in preparation for a new tender]. We are now having an internal study on it [the preliminary proposal],” said Mr Leong in comments to local media on the sidelines of an event on Saturday. The official however did not disclose any details of the preliminary proposal submitted to his office. He only noted that throughout the process of planning the arrangements for the city’s gaming concessions, the Macau government would “listen to social opinions and analyse them”. The concessions of the six current Macau operators expire on various dates in either 2020 or 2022, with the respective licences of SJM Holdings Ltd and MGM China Holdings Ltd set to expire in 2020. Macau gaming law states that the licences of the existing holders can be extended for a maximum of up to five years from their original expiry dates. But once a gaming concession contract expires, any new concession would have to be granted via a public tender. In that sense, say gaming lawyers familiar with the matter, there is no such thing in the Macau context as a “concession renewal”. Vice-chairman and chief executive at Macau casino operator SJM Holdings Ltd, Ambrose So Shu Fai, told reporters last week that the firm hoped to be granted a two-year extension on its current rights, to put it on the same 2022 starting line – for a potential rebid – as four of the other Macau operators. Several gaming lawyers and scholars – in comments to GGRAsia – have suggested that Macau’s gaming law needs to be amended in order to account for the possibility of having more than six gaming licensees, as well as to put an end to the “sub-concession” regime used presently.